Vinnie Vincent has uploaded a new video to his official YouTube channel. 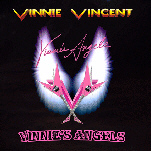 The video, and his website www.vinnievincentmodelguitar.com, offers a new DVD titles "Vinnie's Angels" for $ 20,-.There's currently no information available about the title or its contents. 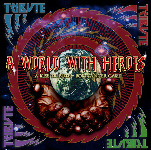 After having run a very successful PledgeMusic.com campaign that reached 241% of its stated goal and raised just under 23 000$ for the Vaudreuil-Soulanges Palliative Care Residence in Hudson, Quebec (www.mspvs.org/en) the ‘A WORLD WITHOUT HEROES’ KISS tribute album for cancer care is landing in iTunes stores around the world on Sept 24th 2013. 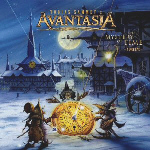 The album features performances by some of rock’s elite including Rex Brown (Kill Devil Hill/Pantera), Ron Keel (Keel), Mark To rnillo (Accept), Ron ‘Bumblefoot’ Thal (Guns ‘N Roses), Brighton Rock, Russ Dwarf (Killer Dwarfs), Doug Aldrich (Whitesnake/Burning Rain), Phil Lewis (L.A. 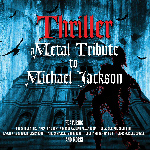 Guns), Terry Ilous & Mark Kendall (Great White), Bill Leverty (Firehouse), Troy Lucketta (Tesla), Eric Brittingham & Jeff Labar (Cinderella), John Regan & Tod Howarth (Frehley’s C omet), Rick Hughes (Sword), Bonfire, Derry Grehan & Johnnie Dee (Honeymoon Suite), Willie Basse and many more. The Deluxe Edition iTunes Release will include a re-imagined track listing as well as ELEVEN bonus tracks not included on the CD version. 01) No, I’m Not Afraid (Previously Unreleased Peter Criss Band Demo from 1991) performed by Peter Criss and Phil Naro. 02) Wait For A Minute To Rock N’ Roll (Previously Unreleased Peter Criss Band Demo from 1991) performed by Peter Criss and Phil Naro. 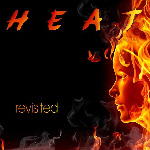 performed by Richie Scarlet, John Regan, Tod Howarth, Arthur Stead & Steve Werner. 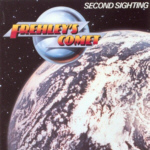 According to an Amazon UK listing, Rock Candy Records will issue special deluxe collector's editions of FREHLEY'S COMET "Second Sighting" (1988) and ACE FREHLEY's "Trouble Walkin'" (1989) albums on October 21. Special Deluxe Collector's Edition / Fully remastered sound shaped from 24 BIT digital technology / Classic Hard rock from former Kiss guitarist / Contains Insane , It's Over Now and Dancin With Danger / 12 page full colour booklet 3,500 word essay, enhanced artwork, unpublished photos and band involvement. As a founding member and lead guitarist of Kiss, Ace Frehley - known affectionately as the Space Ace - was probably one of the most identifiable rock stars of the 70s. Indeed, his profile was so prominent that when the band hatched the brilliant idea of releasing four solo albums simultaneously, it was Ace's record that not only sold the most but also attracted the best reviews. It was a fact that apparently still irritates the rest of Kiss to this very day. By the early 80s however things for Ace were getting decidedly shaky and, it must be said increasingly, out of control. Losing grip on his situation and his standing within the band, Ace's departure in 1982 was almost inevitable. Fortunately, the Kiss Army remained loyal and eagerly awaited his return to active duty with Frehley's Comet, a project powered by him alone. Second Sighting , originally issued in 1988, was the second outing from this unit gathering together a working band that featured seasoned drummer Jamie Oldaker, ex John Waite bassist John Regan and, perhaps most importantly, songwriter and multi-instrumentalist Tod Howarth, a man who had gained a stirling reputation as leader of cult AOR favourites 707 and live work with both Cheap Trick and Ted Nugent. Bristling with energy and hard rock firepower, Second Sighting takes no prisoners, allowing Ace to stretch out and take command of his legacy in a manner that befitted his explosive and larger than life reputation. Track listing: Insane; Time Ain't Runnin' Out; Dancin' With Danger; It s Over Now; Loser In A Fight; Juvenile Delinquent; Fallen Angel; Separate; New Kind Of Lover; The Acorn Is Spinning. Special Deluxe Collector's Edition / Fully remastered sound shaped from 24 Bit digital technology / Classic Hard Rock from original Kiss guitarist / Contains Shot Full Of Rock , Do Ya and 2 Young 2 Die / 12 page full colour booklet 3,500 word essay, enhanced artwork and unpublished photos. He was the man with the rocket firing guitar. Dubbed the Space Ace, the coolest member of 70s rock gods Kiss and a man who attracted a legion of fan followers of his own for reasons both good and bad. Ace's devilishly potent guitar playing lent Kiss a sense of purpose and ambition that elevated them from amusing comic book crusaders to seriously dangerous heavy metal heroes. As with most things in life it couldn't last. Down but not out, Ace left Kiss in 1982 to pursue a solo career, one that was eagerly anticipated by legions of fans keen to sample his razor sharp riffs and quirky song writing in a brand new setting. 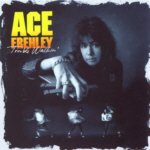 With two successful albums recorded under the banner of Frehley's Comet, Ace retired the band moniker in favour of a solo outing for album #3, the amusingly titled Trouble Walkin . Issued in late 1989, the album reunited Ace with veteran Kiss Producer Eddie Kramer helping to craft a record of high grade hard rock with all the accoutrements that you might reasonably expect from such a maverick character. With titles such as Shot Full Of Rock , Five Card Stud , Hide Your Heart , 2 Young To Die and a brilliantly creative cover of ELO's Do Ya , Ace unloads salvo upon salvo of lighting fast licks and twisted riffs proving that his talent was as explosive as ever. 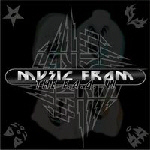 Track listing: Shot Full Of Rock; Do Ya; Five Card Stud; Hide Your Heart; Lost In Limbo; Trouble Walkin'; 2 Young 2 Die; Back To School; Remember Me; Fractured III. 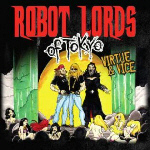 Columbus, Ohio based stoner rockers, The Robot Lords of Tokyo recently have released their 3rd album "Virtue & Vice", which album cover is inspired by KISS "Love Gun". 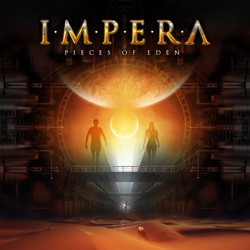 September 5 : IMPERA covers PAUL STANLEY's "Goodbye"
Swedish hard rockers IMPERA will release their sophomore studio album, "Pieces Of Eden", on October 18 via Escape Music. 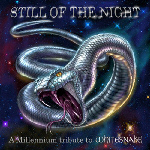 The CD was produced by Johan "Impera" Kihlberg and was mixed by Lars Chriss (LION'S SHARE), who also plays guest guitar on the song "Goodbye" a cover of the track that originally appeared on Paul Stanley's (KISS) 1978 album. 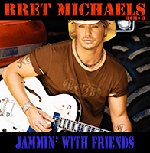 "Goodbye" features an additional guest appearance by Bob Kulick, who was also the guitarist on the song's original version. “We all started to play because of KISS”, J.K Impera states. 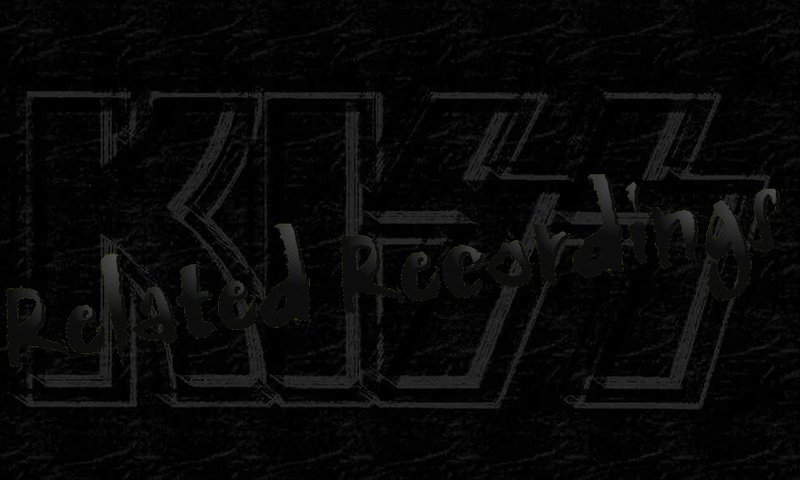 We’re huge KISS-fans and collectors and even good friends with them. KISS is the reason we discovered how great rock and roll is. Thanks to the overwhelming success of last year’s Anomaly (2LP silver marble vinyl) release on Brookvale Records, we have commissioned a new pressing of Ace Frehley’s 2009 solo album "Anomaly". 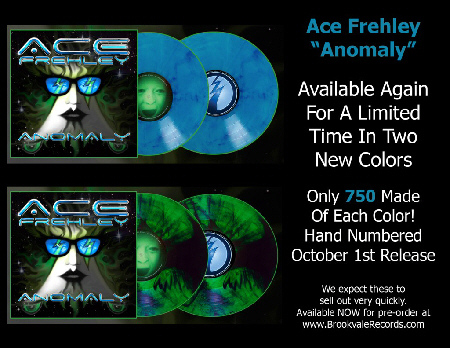 Brookvale Records is proud to bring you Anomaly in two exciting new colors… Opaque Blue or Green/Black Swirl. Last year’s Silver Marble pressing sold out very quickly, and these new colors are expected to do the same. The new colors are available in LIMITED quantities… Only 750 of each! Once again, this is a 2-LP set, each individually hand-numbered. The price is $27.99 for each hand-numbered 2-LP set. For more information and order details, CLICK HERE. Vocalist Joe Lynn Turner was recently interviewed for a Bulgarian news outlet, during which he teased his upcoming project with Bruce Kulick, Tony Franklin and Carmine Appice. "It's going to be a super band," said Turner regarding the project. "We just feel that this thing is going to explode because there is nothing on the market like this."